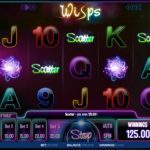 Wisps slot has everything a slot fan would ask for, from eye-catching graphics down to multiple chances of bagging lucrative prizes and payouts. 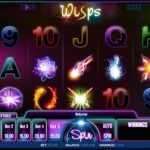 Other than offering premium branded slot games to various online gambling platforms, world-renowned game provider iSoftBet continues to establish its prowess with its originally formulated slots like the Wisps slot. Fans of both old-school and futuristic elements will absolutely be captivated by this online slot. 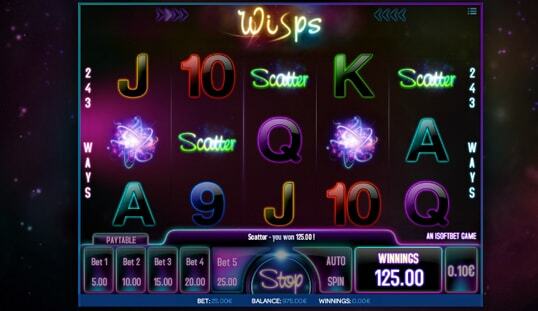 Wisps slot has appealing aesthetics and it pairs up great, vibrant graphics with traditional slot icons. It is filled with futuristic and bohemian elements like its neon-lit icons and myth-like symbols, together with its enchanting sound effects. 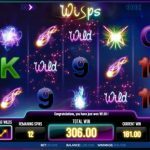 With these features, it is evident that Wisps has effectively fused old-school slot gaming with a futuristic sense. Wisps is not all that complicated when it comes to its gameplay. After all, its interface is largely based on the conventional online casino. Thus the majority of its controls are similar to the ones you are familiar with. When it comes to symbols, this game has a combination of familiar and obscure icons for you. You can expect letters and numbers, which are the typical slot symbols. Exclusive icons like the purple ball wisp, orange star wisp, blue fame wisp, multi-colored comet wisp, and lilac orb wisp are also worth checking out. On another note, Wisps slot is also equipped with the autospin feature that lets you experience hand-free gaming. Ultimately, the best part of this five-reel slot is its 243 pay lines. This means that you get the chance to have over 200 chances of bringing home bountiful amounts of rewards. 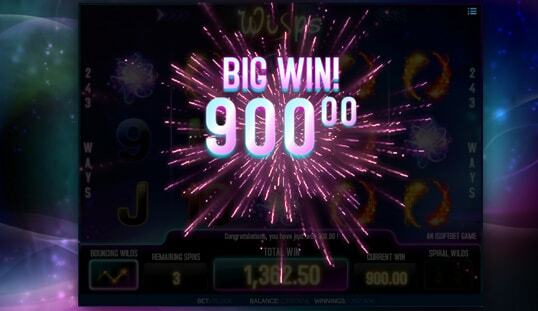 Although Wisps is not a progressive jackpot slot, it still has several of special features that can amplify the amount of your winnings. You can expect scatter and wild symbols, which will serve as your keys to unlock bountiful game modes. There are three different game modes. First is the Left to Right mode where the way you get paid is from left to right. Second is the Both Ways mode that pays from left to right and vice versa. Lastly, you will have the Left to Right Transformer mode. In this game mode, a transformer icon will appear which will be responsible for transforming all six regular symbols for an easier win. 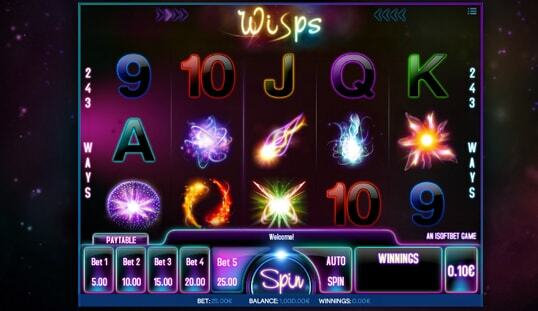 Wisps also have free spins and multipliers that go up to 15 and 25 times, respectively. 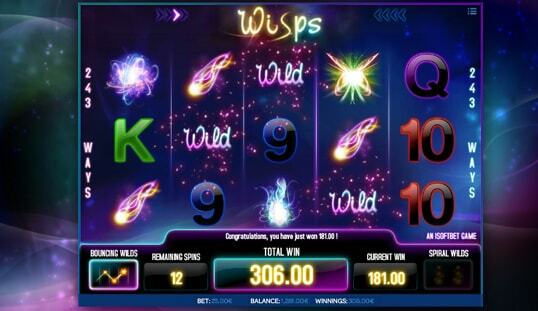 iSoftBet did a superb job in creating the Wisps slot. This game not only has eye-catching designs and animations, but it also offers seemingly countless ways to win big. 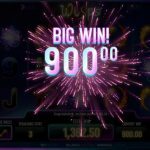 Though iSoftBet is yet to provide games for Bitcoin-powered gambling sites, it is certain that Wisps slot will be a hit among Bitcoin players.